I think what I've loved most about the Games this year is that they've inspired us, more than ever, to look beyond the superficial. Women are demanding the spotlight like never before. Fencing competitor Ibtihaj Muhammad was the Muslim Sportswoman of the Year in 2012 and wanted to be the first American athlete to compete in the Games wearing a hijab. (Yeah, girl.) Swimmer Katie Ledecky has indirectly brought to our attention the persisting sexism in sports — with one commentator saying she "swims like a man," and being referred to as the "female Michael Phelps." (A compliment, sure — but a sexist one all the same.) Simone Biles has faced similar comments, and her response was dynamite: "I'm not the next Usain Bolt or Michael Phelps, I'm the first Simone Biles." This year has been all about pushing down barriers and breaking the rules; so it only makes sense that we've got an entire list of baby names that defy gender stereotypes. Beach volleyball competitor Kerri Walsh Jennings was given an Irish baby name, meaning "Descendants of Ciar." Ciar is a county in Ireland. Lexi is typically short for something like Alexis, Alex, or Alexander — the feminine form of Alexander and a Mycenaean epithet of the goddess Hera. Perfect for golfer Lexi Thompson! Swimmer Ryan Lochte is yet another Olympic athlete with an Irish name, which translates to "descendant of Rían." Rían means "little king." Freestyle wrestler Jordan Burroughs was given this Macedonia name for the river that runs between Jordan and Israel. Tennis star Andy Murray's name is Shakespearean. The full name, Andrew, means "Twelfth night." Blake means both light and dark... which confuses me slightly. But it's a beautiful name, nonetheless, for Blake Pieroni, an enormously talented swimmer. Shannon is an Irish name, meaning "little old wise one." At 5'5", track and field athlete Shannon Rowbury is definitely little (and definitely wise!). Sydney has roots in several cultures, including Greek, and is generally translated to "From Sidon." Sidon is the third largest city in Lebanon, the Arabic word for "fishery," and the son of Canaan in Genesis. Certainly a beautiful name for track and field athlete Sydney McLaughlin. Olympic archer Mackenzie Brown's name has both American and Scottish roots, meaning "fair or favored one." As Team USA's only female archer this year, I'd say that fits! Casey means brave, which perfectly describes slalom canoer Casey Eichfeld. Kelly means "warrior" in Gaelic; and if anyone's a warrior, it's cyclist Kelly Catlin. 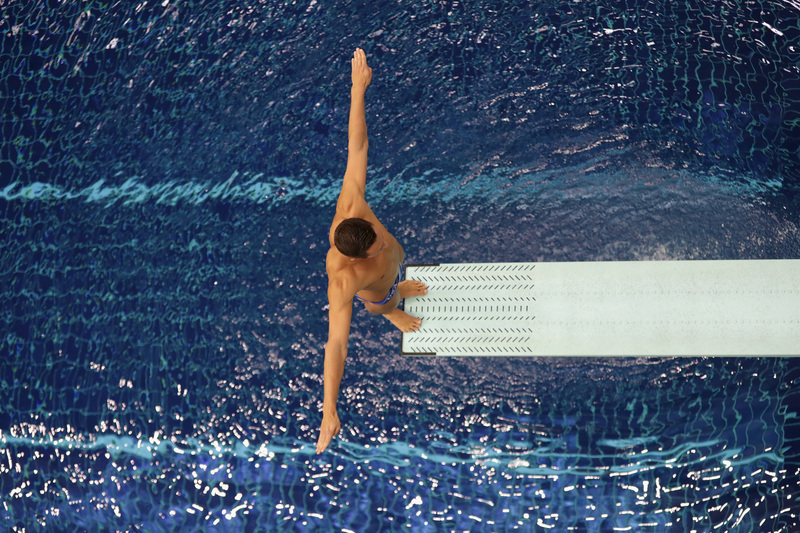 Sam means "sun child" or "bright sun" — quite fitting for Olympic diver Sam Dorman. Filipino American fencer Lee Kiefer's name is from a surname that was derived from the Old English "Leah," meaning "clearing." This German name means famed, bright, or shining — perfect for stellar rowing competitor Robin Prendes. This moniker was derived from Matthew, meaning "gift of god," as well as Matilda, meaning "strong fighter." If anyone knows how to put up a fight, it's Olympic rugby player Madison Hughes. In Greek, Paris was the son of Priam — the last king of Troy. Not bad for sailing competitor Paris Henken!